Pallet wrapping is more than just the cost of a roll. The total process needs to be taken into account, which includes labour costs, the amount of film used, methods used and the time it takes to wrap a pallet. 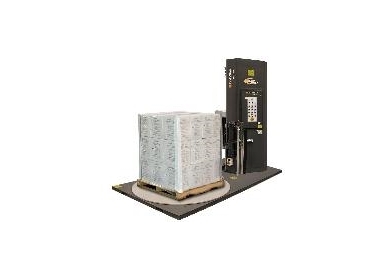 Wulftec SMLPA-200-S pallet wrappers, available from Australian Warehouse Solutions (AWS), reduce pallet wrapping costs. The SMLPA-200-S features a remarkable 250% pre-stretch film delivery system. When used in conjunction with AWS Stretchmaster film, the 250% delivers a low cost per pallet. As the Wulftec SMLPA-200-S is an automatic pallet wrapper, there is no operator required. The forklift operator simply drops the pallet in position and then activates the machine without leaving the forklift. The SMLPA 200-S wraps the pallet unassisted, leaving the forklift operator free for other duties. This saves time and money. A complete range of Wulftec stretch wrapping machines are in stock and can be purchased from AWS. AWS offer rental plans for over 48 months, inclusive of the Wulftec 48 month to eliminate risk. AWS distribute the Wulftec range and are specialised in providing cost-effective pallet wrapping solutions since 1977.